Bold, yet inviting, the Clarges Square Table adds artistry and a beautiful modern sculptural element to a modern dining space. It also provides a durable and stylish centerpiece where family and friends can gather to enjoy special meals and create special memories. The Clarges�s top is solidly crafted from wood, and features a lacquered finish for added shine and sophistication. 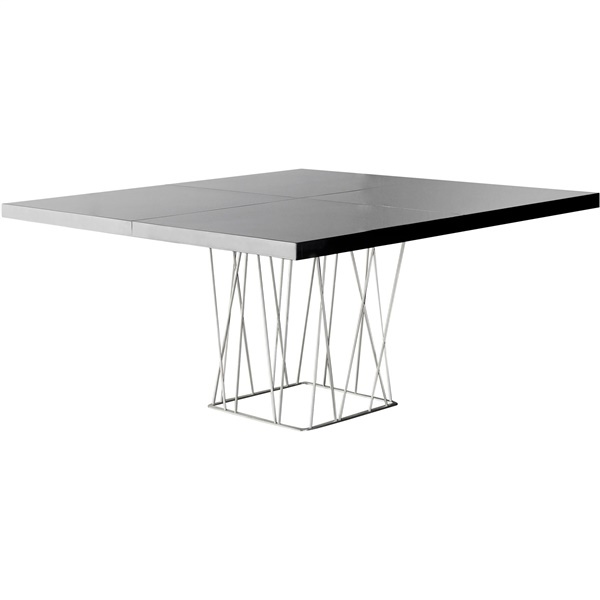 Its base features slender and graceful wiring in a tower design, which adds visual interest, and gives the table its truly distinctive appeal. 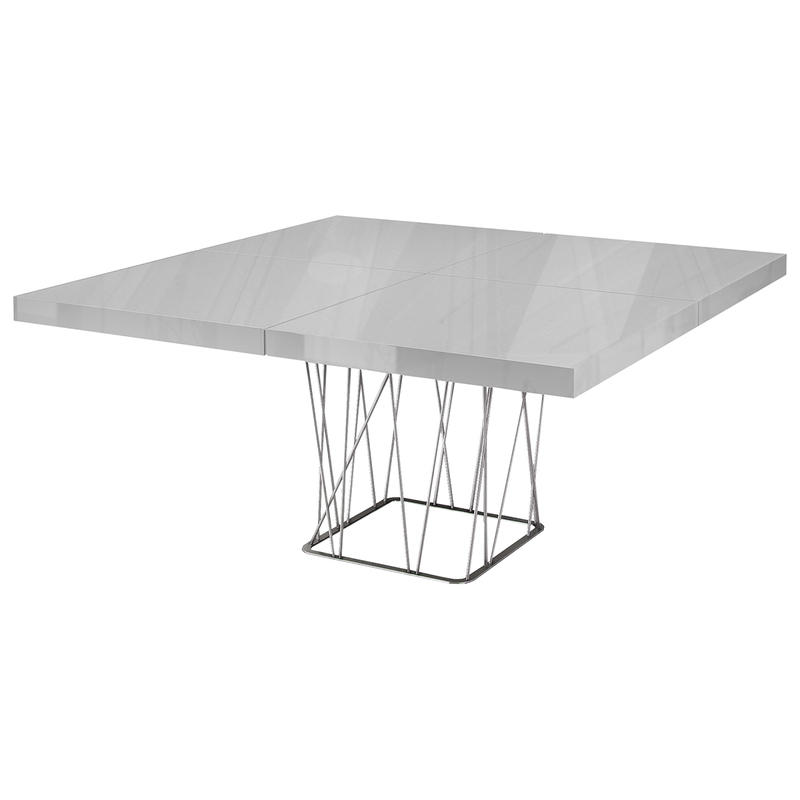 The Clarges looks great as a dining table, or as a display table for a living area. Choose from several color options for a look that perfectly fits your d�cor. The Clarges looks great as a dining table, or as a display table for a foyer, study or living area. Choose from several color options for a look that suits your dining area�s palette. . Available in your choice of two bold colors. Crafted with care in Brazil. Fits into d�cor styles both contemporary and retro. Sleek, clean-lined silhouette complements various seating styles. Stainless steel and lacquered hardwood promise durability and maintenance ease. Sturdy base and grooved surface provide graphic visual appeal.